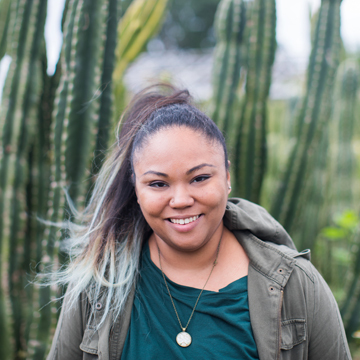 We travel often and usually at least once a year halfway across the world. 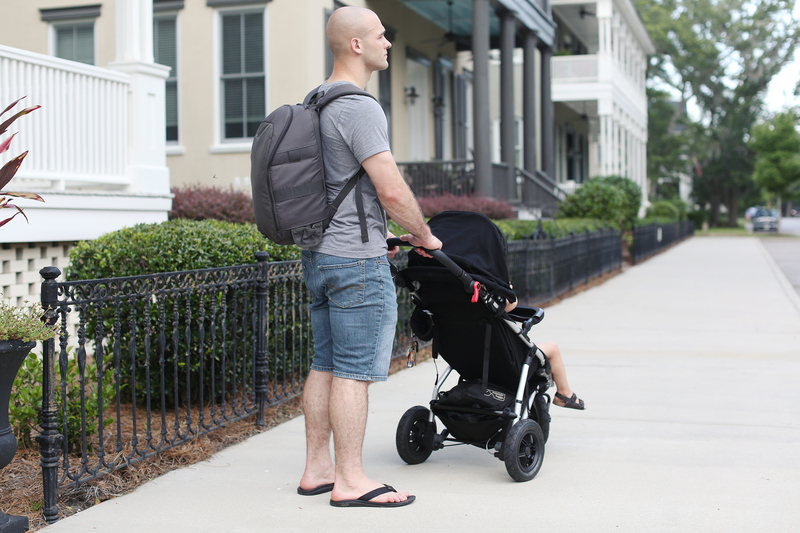 In the three years that we’ve been parents, we’ve tried a few strollers. But none of them have quite fit our needs. They’re usually bulky and turned very sluggishly, getting hung up on everything as you try to navigate the airport. Plus, most of them were uncomfortable and lacked options for our little guy. 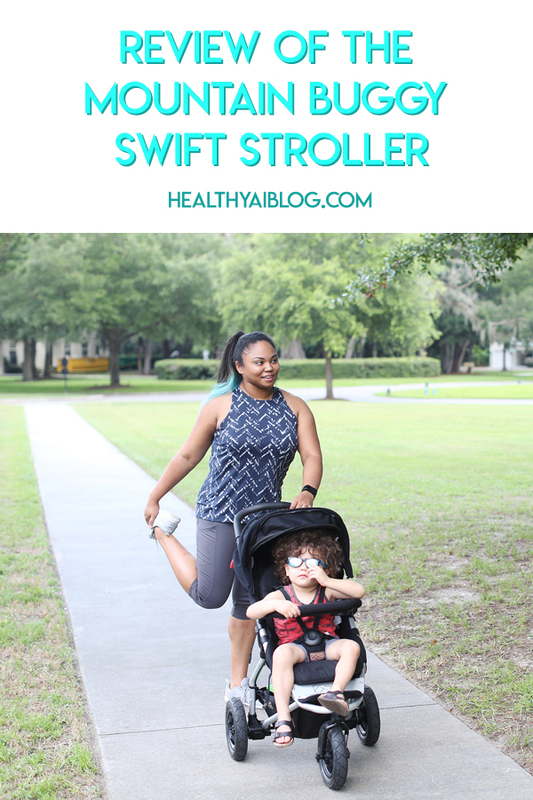 So I was really excited about trying the Mountain Buggy Swift Stroller. I love that it has so many different accessories so you can truly configure it to your individual needs. 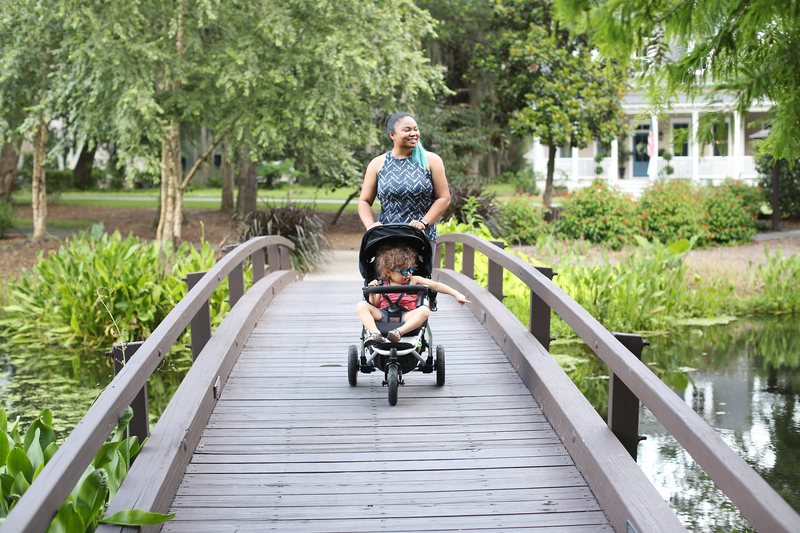 I love how light this stroller is. 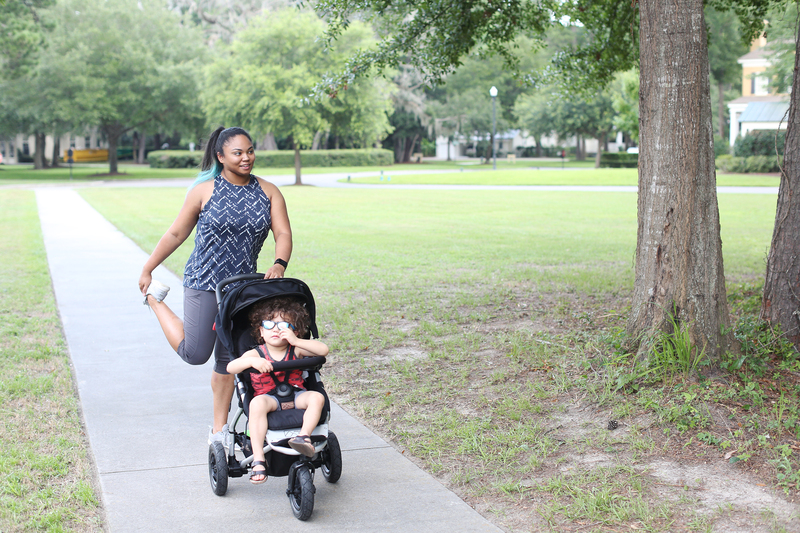 Our other jogging stroller is really bulky and heavy. I can easily lift this out of the trunk of my SUV with one hand. It folds really compact, so we have more room in our trunk for other things. Plus, you can fold it with one hand. It makes running errands pretty quick and seamless. 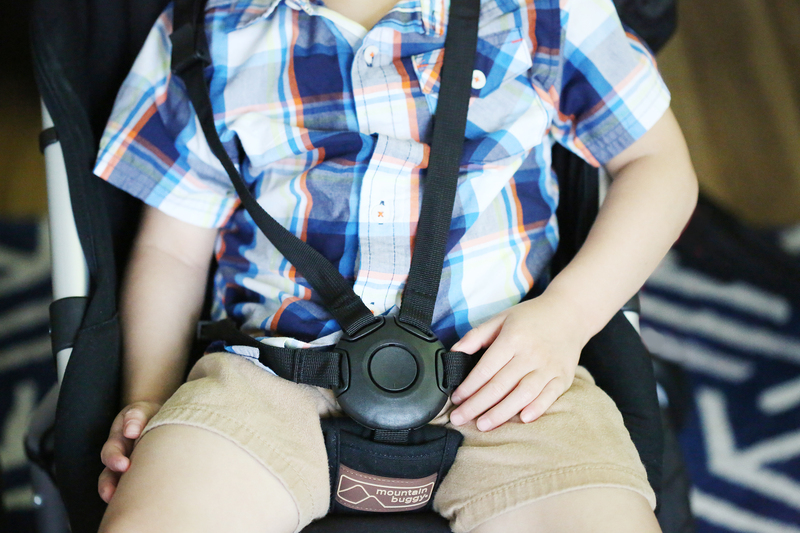 The 5-point harness is easy to adjust and the button in the center is easy for me to unfasten but tough enough that my 3 year old cannot undo it. I love the ease of the brakes. Usually brakes need to be pushed manually with your feet and they’re unreliable at best. The lever effortlessly locks into place and you can easily see if it’s locked or not. The magnetic window is such an awesome idea! 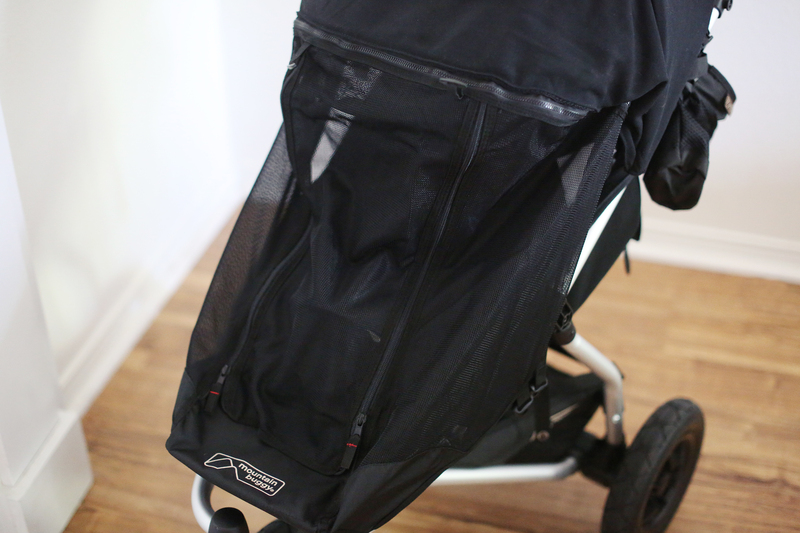 Any stroller that I’ve tried had a velcro latch that was noisy, but the magnetic window makes checking on your child noiseless in the event they’re sleeping. We opted for the rain and screen covers for the stroller. The rain cover was easy to attach and definitely would shield him in the event it rained. The mesh cover is perfect if you’re like us and always live in a place that has a lot of mosquitoes and gnats. 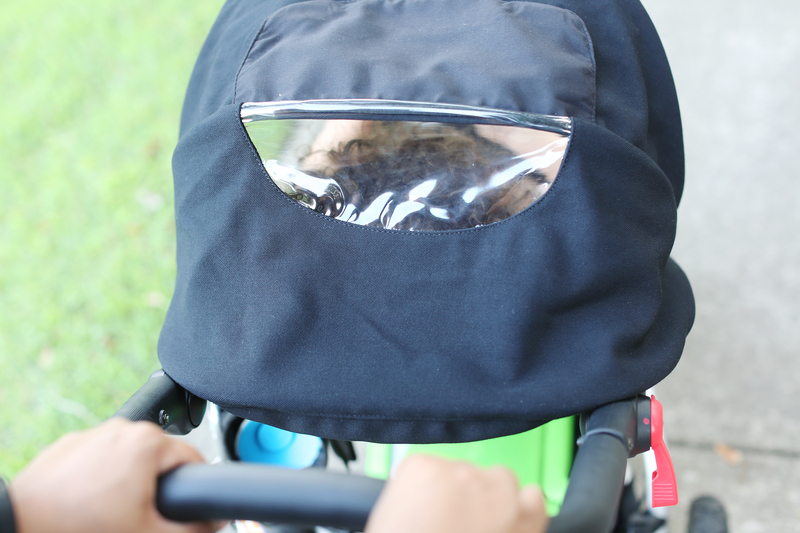 I hate applying bug spray to our child and this option provides a chemical-free covering without impeding his view. 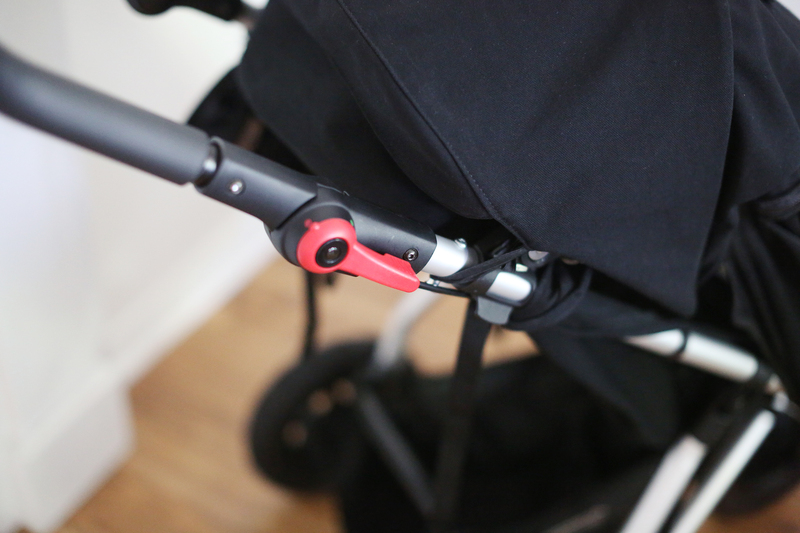 The way the tray latches on to the stroller is simple. 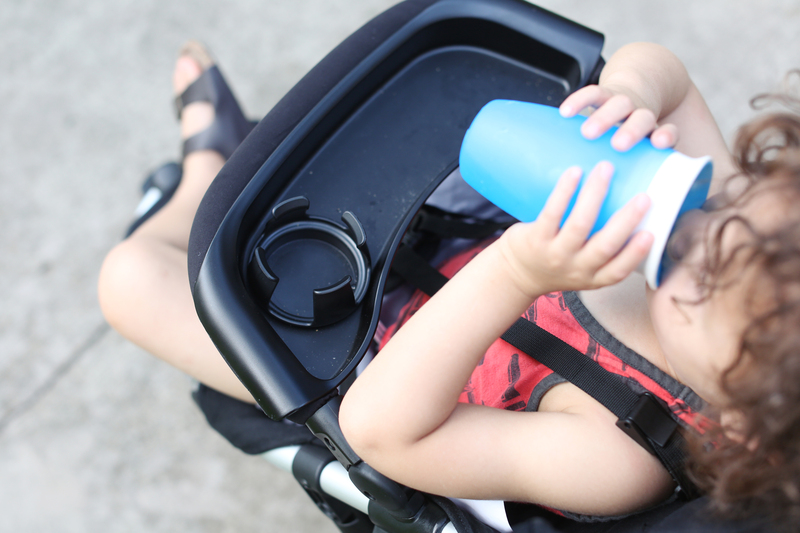 We love that his sippy cups lock into the holder. Plus, the tray readily comes off for ease of cleaning (we do that a LOT). The Swift is light and maneuvers smoothly. It’s really sturdy and I like how the tires can be simply inflated (like a bike). 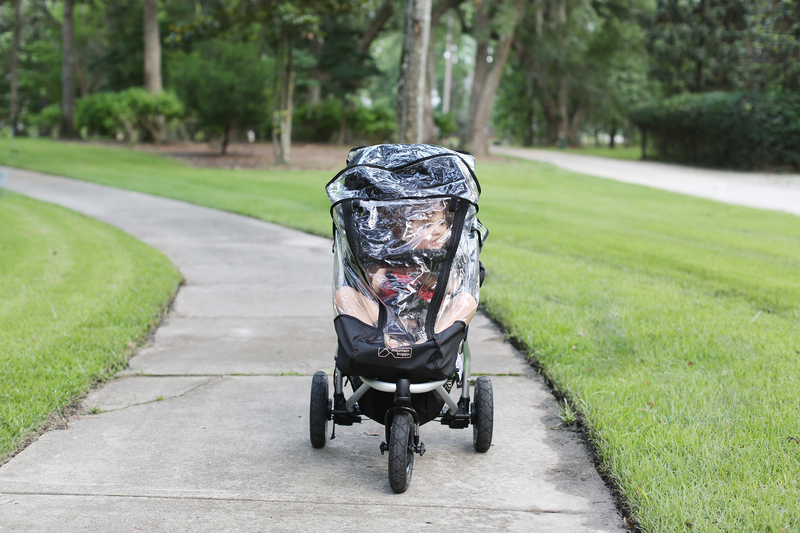 We’re not fans of strollers that don’t have air in the tires. So this was important to us. 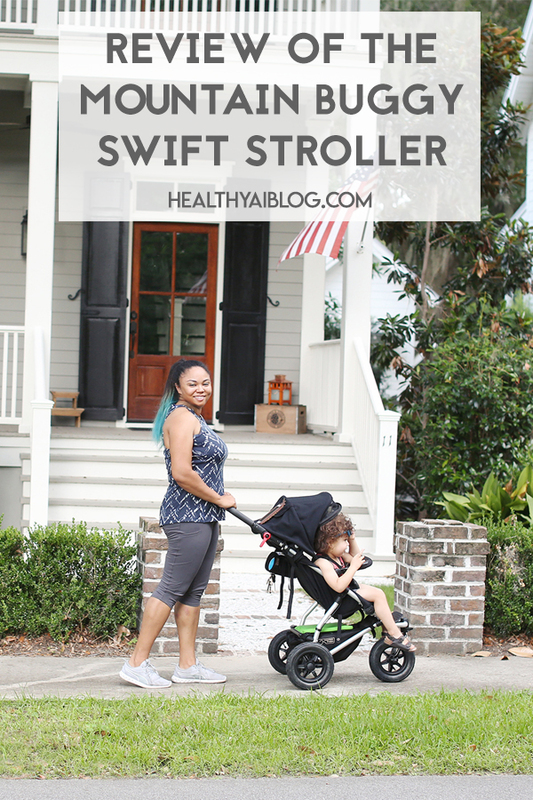 The Swift is a great stroller for growing families. I’m looking forward using the scooter attachment when my son is older and we have another little one. The accessories are all really thoughtful. Like, whoever came up with hand muffs that wrap around the handle bar is a genius! We were contemplating something like that this past winter when we forget our gloves on those cold evenings. 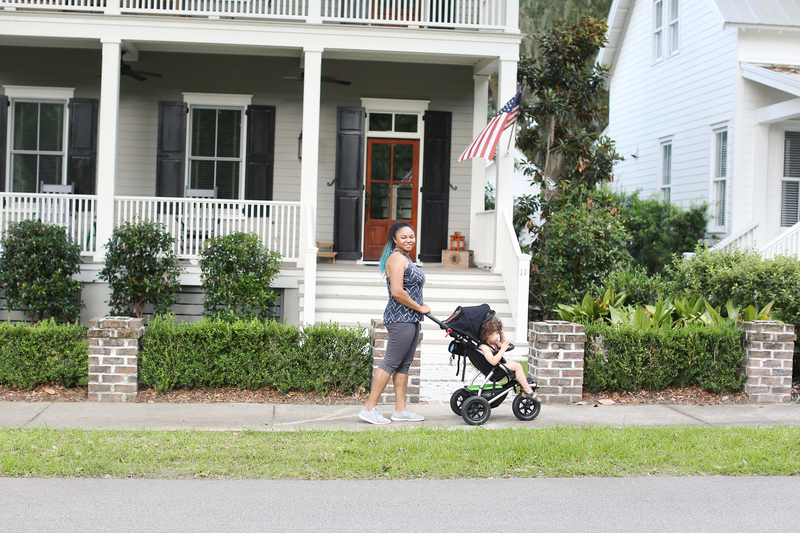 I highly recommend the Mountain Buggy Swift for anyone looking for a high-quality, effortlessly maneuverable, light, compact stroller that will grow with your family.